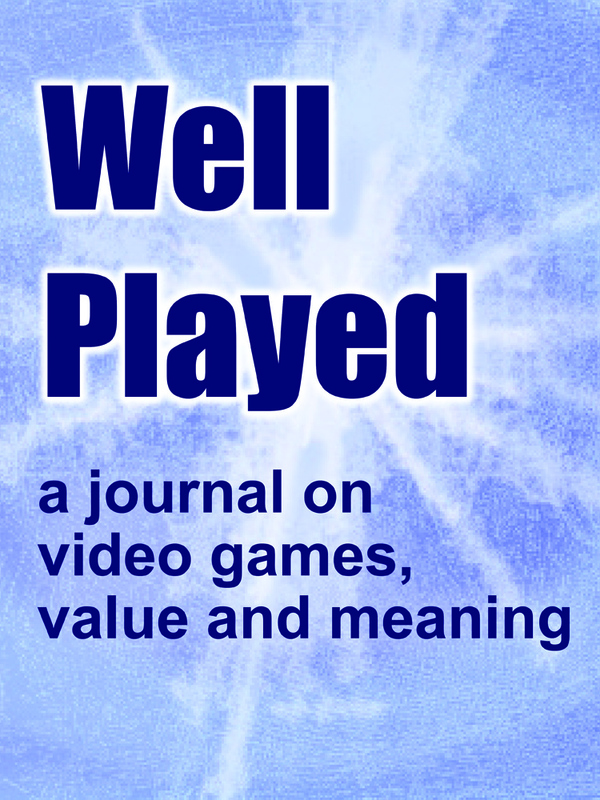 A Journal on Video Games, Values, and Meaning. 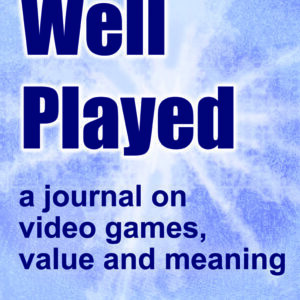 The Well Played Journal is a forum for in-depth close readings of video games that parse out the various meanings to be found in the experience of playing a game. It is a reviewed journal with CfPs for submissions that will be released on a regular basis with high-quality essays. 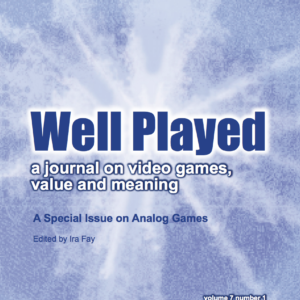 The Well Played Journal is a forum for in-depth close readings of video games that parse out the various meanings to be found in the experience of playing a game. It is a reviewed journal open to submissions that will be released on a regular basis. 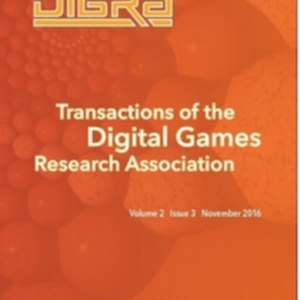 The goal of the journal is to continue developing and defining a literacy of games as well as a sense of their value as an experience. Contributors are invited to also discuss games in general (ranging from tabletop, to big games and more) and how they are often designed for different fields (education, entertainment, etc) as we more fully develop a literacy around games and play. Contributors are encouraged to consider using screenshots and video of their gameplay in order to help illustrate their ideas. And we’re open to suggestions on themed issues around a specific game or a topic across games.